In memory of Clive Holloway (1939-2012), our dear friend and President. By members of the Sunday Service Band of which Clive was a member for over 50 years. After the peal, in band order. First submitted Sunday, 6 January 2013 at 21:19:37 by Robin O Hall. 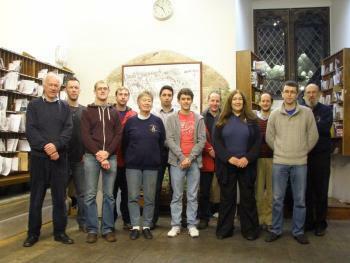 Sent for publication in The Ringing World on Tuesday, 15 January 2013 at 10:35:33, and printed in issue 5310, page 110. This performance has been viewed 2270 times.